OPI Announces Two New Floral Avojuice! OPI launches two new Avojuice Skin Quenchers Hand & Body Lotions in floral scents Peony & Poppy and Violet Orchid. Inspired by nature’s sweet smells, these nourishing formulas feature a blend of exotic flower fragrances. Both new Avojuice lotions incorporate avocado and aloe extracts to leave skin silky smooth and hydrated, while the deep floral fragrances of Peony & Poppy and Violet Orchid are designed to awaken the senses. 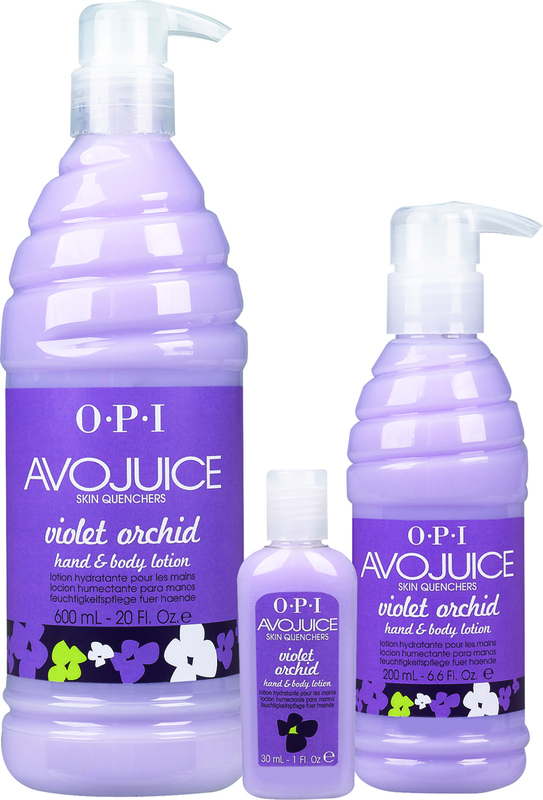 OPI Avojuice Skin Quenchers Hand & Body Lotion in Peony & Poppy and VioletOrchid will be available beginning July 2013 at professional salons and spas across Canada. Suggested retail price is $9.95 CAN for each 6.6 fl. oz bottle.